So the days are getting shorter and it’s getting colder and all you want to do is get cosy on the couch watching tv and having a munch and we have got you covered! 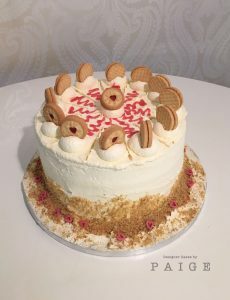 If you’ve walked past our shop recently then you may have noticed the delicious looking cakes that we currently have on display. 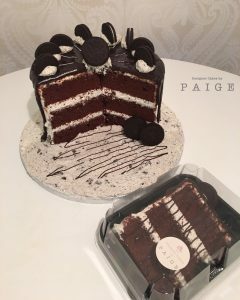 Our decadent Oreo Drip Cake, our Jammie Dodger Sponge and our Kinder and Nutella Drip Cake are all available by the slice! 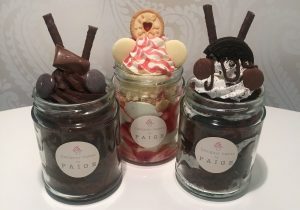 Our cake jars have also had a little makeover and they look even more mouth watering-ly delicious! Currently available in our most popular flavours Oreo Crumble, Death by Chocolate and Jammie Dodger. So if you’re feeling like a weekend treat (or an any-day-of-the-week treat) then pop by our shop and see what we’ve got available! With treats ranging from £1.50-£3.99 there’s something for everybody! 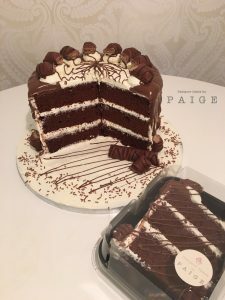 Next story Cake of the Month + Christmas Goodies! Previous story Top 20 in the Confetti Awards!